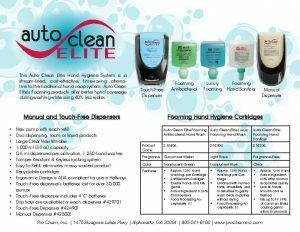 AUTO CLEAN ELITE FOAM HAND SANITIZER | Pro Chem, Inc.
AUTO CLEAN ELITE FOAM HAND SANITIZER is an instant hand sanitizer that contains a blend of ethyl alcohol (62%) and moisturizers which kill 99.99% of the most common germs that cause illness/disease in as little as 15 seconds. No water or towels are needed. 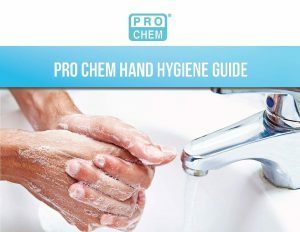 Sanitizes hands when soap and water are not available. Press lever on bottom of dispenser and lift slightly to open front hatch. 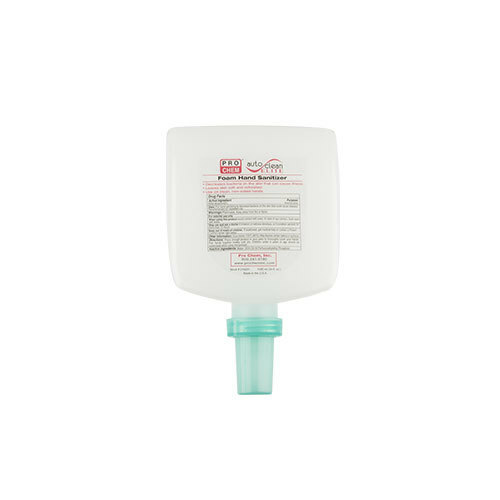 Place cartridge into dispenser pump pointed downward.